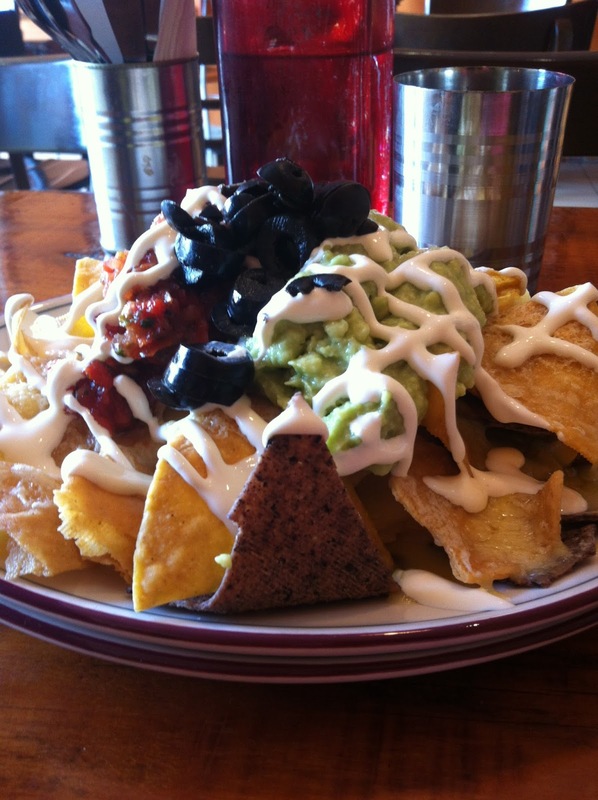 What’s a lazy Sunday afternoon without a bit o’ Mexican fare? 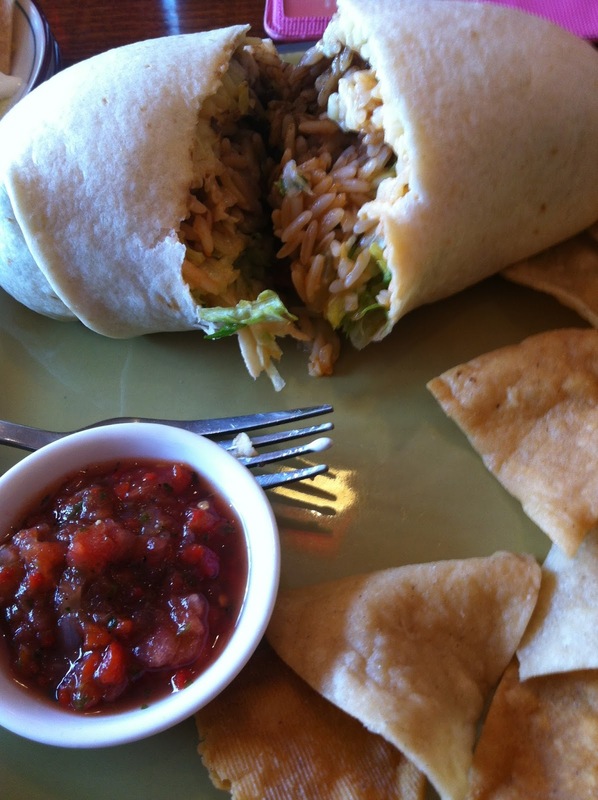 Okay smarty-pants, it’s a lazy Sunday afternoon without Mexican fare. But, thanks to my trusty Entertainment Guide (of which, you should get from me if you don’t already have one!) that’s packed full of foodie discounts, on this particular Sunday, Mexican fare was to be had! So, with our “25% off the bill” voucher in tow, hubby bear and I laaaa cucaracha’d ourselves to a little place named Gringo Vibes in Northcote. So, this place isn’t going to win any restaurant design awards, but for some reason the kitschy decor sorta kinda works. Sorta. 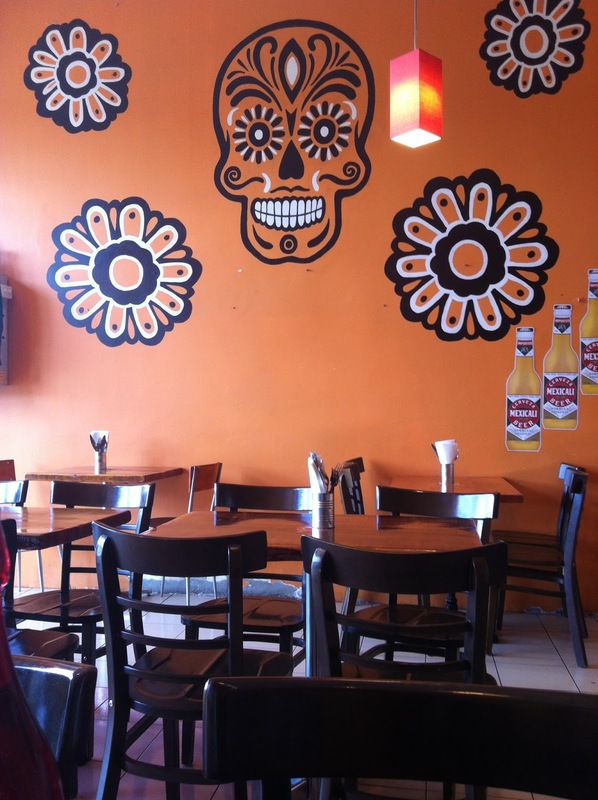 Big candy skulls and flowers on the walls – yeah, yeah, okay – we’ve crossed the border. Where’s the menu? We started off with small Veg Nachos ($11), thick corn chips topped with some olives, salsa, guacamole, sour cream and a decent helping of “I’ve been sitting on the pass for way too long” sort of cheese. I’m so sorry mi agmigos and amigas, when you have to wrestle your nachos out from under a solid block of cheese which was previously melted, you just lose a bit of that arribaaaa! mojo. In all honesty, we wouldn’t get these again in a fit. Hubby bear got the Classic Bean and Cheese Burrito with Slow Cooked Mexican Beef ($13 + $4 = $17), that came with a handful of tortilla chips and an unexceptional salsa. The burrito itself was very nice. Good size for the price, tasty and nicely flavoured beef (so I was told). I just got the Classic Bean and Cheese Burrito ($13) which was honestly pretty good, despite the fact I didn’t like the salsa that came with it either. Why? It just didn’t taste like fresh salsa. It hardly tasted of anything. You know, it’s not hard to make a great salsa, so I’m not sure how anyone can get this wrong! Don’t believe me? Go get 6 ripe tomatoes, dice them up. Grab 1 small onion, dice that sucker up. Slam 1 tablespoon of tomato paste in with a teaspoon of salt, mix it around (like you mean it) with a handful of coriander and a small chopped chili. There. A salsa a zillion times better than what I got here. But for those more daring, there’s a table full of hot sauces, standing like little toy soldiers in the corner of the dining room, so if their salsa doesn’t hit the mark when you try (eg. they didn’t use my recipe above! haha! ), you have the option to just numb your mouth with a bunch of insane liquid fire instead! Overall, medium-meh. That’s slightly more than meh but not quite good. 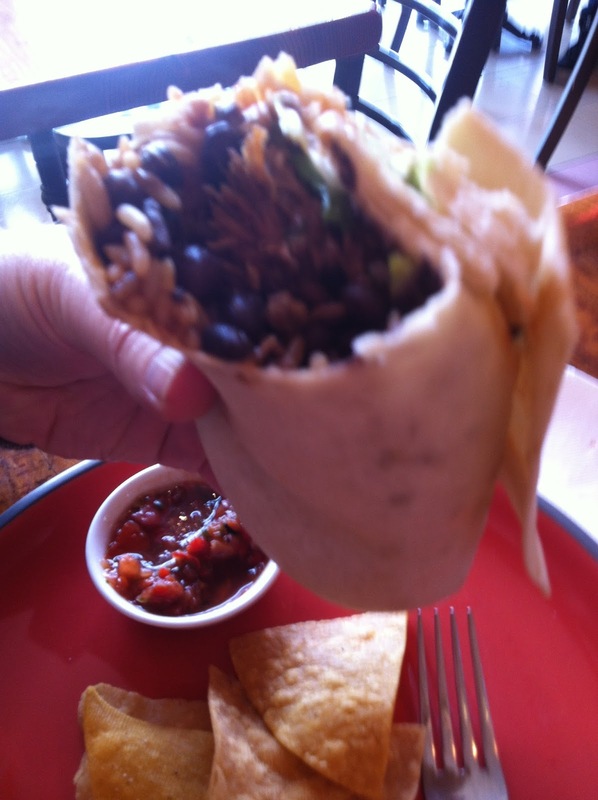 But to be fair, hubby bear and I both agreed we’d eat their burritos again. But not sure we’d make a special trip there just for those.